On July 3rd, I was featured as Saatchi Online‘s Photographer of the Day. Saatchi Online is operated by London’s Saatchi Gallery, which has long been an influence in contemporary art. 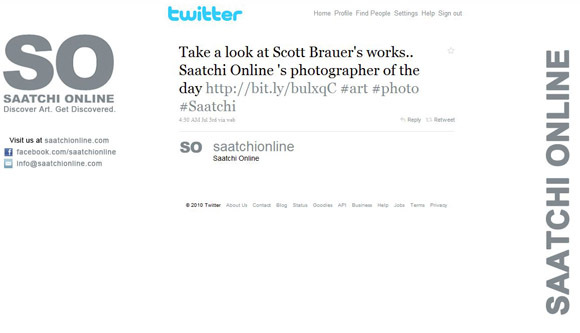 The New York Times has an old article which offers a good perspective on what Saatchi Online is and how it fits with the overall mission of the Saatchi Gallery.